Buying a home in today's time is a decision that is most crucial. People sometimes tend to overlook certain aspects when it comes to financing their home. We want you to start clearing your doubts right from the beginning. Through these answers, we try and clear some of your doubts, at your pace. Home loan is a loan disbursed by a bank or financial institution (lender) to an individual specifically for buying a residential property. Here, the lender holds the title of property until the loan is paid back in full along with interest. Home loans are long term borrowing instruments with a minimum tenure of 5 years and a maximum tenure of 30 years. The tenure offered to you for your personal loan depends on the loan amount that is sanctioned to you by the lender along with other factors. Anyone — whether self employed or salaried individuals/professionals — with a regular source of income can apply for home loans. One must be at least 21 years old when the loan period begins and should not exceed an age of 65 years when the loan ends or at the time of superannuation. This is the generic eligibility criteria and specifics such as the minimum and maximum age limits, minimum income level, etc. may differ from one lender to another. What do banks consider when granting a home loan? Can I apply for a joint loan with my friend? No. A lender would only allow you to apply for a joint home loan if the application is co-signed by one or more members of your immediate family. Thus, your friend does not qualify. Who can be joint borrowers in case of a home loan? Immediate family members such as your parents, spouse and children are allowed to be joint borrowers in case of a home loan. What is the maximum number of joint borrowers for a home loan? The maximum number of joint borrowers in case of a home loan is fixed at 6. However, only family members such as parents, siblings and spouse can be co-borrowers for a home loan in India. Additionally, having a co-borrower who has a robust credit history and good credit score is preferable as compared to one with a low credit score. If the interest rate on the loan varies periodically over the loan tenure, then it is called a floating rate home loan. Lenders have their own base rate which determines the rate of interest charged on a home loan. The base rates of banks are revised from time to time based on RBI directives as well as other factors, which leads to an increase or decrease in the EMI amount payable. Fixed rate home loans are offered at a predetermined interest rate during the loan period and these remain unchanged during the loan period irrespective of market conditions. This can be a huge benefit when market volatility starts affecting interest rates. For instance, if the RBI increases interest rates on loans, then people with fixed rate home loan will not be affected by any increase or decrease in the market interest rates and the EMI amount will remain unchanged. This type of home loan is less popular these days. How is the MCLR method going to affect my current home loan? As per recently updated RBI rules, banks are required to use the MCLR (Marginal cost of lending rate) method to determine the interest rate on home loans. In case of a floating rate home loan, the banks are now required to change the interest rate either yearly or every six months. In case you have a fixed rate home loan, you can get in touch with your bank to get information regarding conversion of your fixed rate home loan to the new MCLR-based floating interest rate. At present, introduction of the new MCLR regime has led to a reduction in applicable home loan interest rates. Can I switch from a floating rate home loan to a fixed rate? Yes. A few lenders do offer you the option of switching from a floating rate to a fixed rate home loan and the other way around. However, this is not applicable to all home loans and there are a few charges involved in implementing this conversion. Get in touch with your lender to get details regarding the procedure and requirements. How do I repay my home loan? 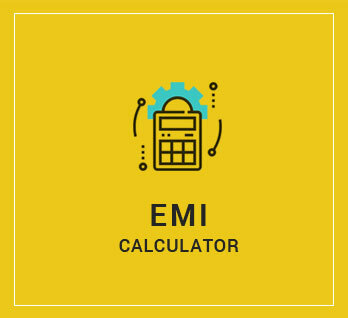 There are different ways to pay off your loan such as issuing post-dated cheques for the tenure of the home loan, getting the amount deducted automatically from your salary or by issuing standard instructions to the lender for ECS (Electronic Clearing System) wherein the EMI is automatically deducted from your bank every month. Should I apply for a home loan with a public or private bank? Before zeroing in on a home loan, it is best to compare the various interest rates that would be applicable to you. When you apply for a home loan through Paisabazaar, you get the opportunity to apply for a home loan through both private and public-sector banks. Also take into account, the fact that banks charge various processing and other related fees when you apply for a home loan and you should also consider these, when applying for a home loan. Yes, one can repay the loan amount before completion of the scheduled loan tenure by making a lump sum payment towards paying off the loan. In such cases, the bank may decide to apply some penalties in the range 2-3% of the principal amount outstanding. Some banks and NMFC (non-banking financial companies) do not charge any penalty on making prepayment of a home loan. What are the key charges associated with a home loan process? Processing Fee- When applying for a loan, a fee is paid to the lender known as processing fee. The amount paid could be either a percentage of the loan amount or a fixed amount that is paid in lieu of carrying out the loan sanction formalities. Commitment Fee- It is essential to avail the loan within a stipulated time period after it is processed and sanctioned otherwise some financial institutions levy a commitment fee. By paying the commitment fee, you are assured that you can access the loan at the interest rate and for the tenure that was initially agreed on. Most banks no longer charge this fee. Pre-payment Charges- Banks/ financial institutions might charge a penalty if the entire loan amount is paid off before completion of the loan tenure. The penalty amount also known as foreclosure/pre-payment charges could be a maximum of 5% of the loan amount that is paid off before the completion of loan tenure. Miscellaneous charges- Documentation, stamp duty, credit bureau report issuance charges and consultant charges are generally considered as miscellaneous charges by few lenders. What documents do I need to submit with my home loan application? Cost estimation/ valuation report from Bank's (or finance company) authorised surveyor/evaluator. Is there any tax benefit available on home loans? Tax exemption on repayment of the home loan principal: This is the deduction allowed under Tax Section 80C with a maximum annual tax deduction of Rs, 150,000 under the section. Tax benefit on the interest rate for home loan- Under Section 24 of the Income Tax Act, you can avail the tax benefit on the amount of interest paid on a home loan to the maximum limit of Rs. 2 lakhs for a self occupied property. Tax benefit for Joint Borrowers: In case of joint home loans, each of the co-borrowers is eligible to receive a total of Rs. 3.5 lakhs (1.5 lakhs under section 80C + 2 lakhs under section 24) as tax exemption. Hence, if a married couple co-signs for a home loan, they can claim a total tax exemption of Rs. 7 lakhs on their home loan. If you have an existing home loan and have made timely repayments towards the existing home loan, you may get the option of borrowing an additional loan equal to the amount you have paid off on your current home loan. This is termed as a top up loan. The interest rates on a top up loan are less than a personal loan and it requires little or no paperwork to process this loan and the money can be used for a range of expenses. Can I have a co-applicant when I sign up for a home loan? Yes. You can have a family member like your spouse or your parents co-sign with your when you apply for a home loan. Having a co-signor for your home loan improves your chances of being approved for a larger home loan amount. A co-signor is specially recommended if the primary applicant has a low credit score or has had problems when applying/paying off a loan in the past. Is having a good credit record important in case of a home loan? A home loan is a long term loan (5 to 30 years tenure), hence lenders want to ensure that they will get their money back in the long term. Therefore, the loan sanctioning authority will definitely check your credit history before sanctioning a home loan to you. By having a good credit record/history you would be classified as a low risk borrower and you may be able to get preferred (low) interest rates and waivers on various bank fees on the basis of your credit history. I have low credit score. Can I still apply for a home loan? When banks sanction you a home loan, the EMI payments may not start immediately. In such a situation, the bank is liable to charge a pre-EMI interest on your loan. This interest is payable monthly from the time the loan is disbursed till the time the EMI payments start off. The pre-EMI interest amount is lower than the home loan EMI as the principal payment portion is excluded for pre-EMI interest payments. What is the margin on a home loan? The margin on a home loan refers to the percentage of the cost of the home that is not covered by the lender providing you with the home loan. On an average, lenders implement a 20% margin on home loans i.e. the home loan amount sanctioned to you will be 80% of the actual cost of the property. The remaining 20% of the home loan cost will have to be borne by you. Though the 20% margin is the industry average, lenders may increase or decrease their home loan margins on a case by case basis. What costs are not covered by a home loan? Apart from the margin, some other costs will have to borne by you. Some of the key expenses in this regard include the initial down payment, stamp duty costs, registration costs and transfer charges among others. Amortization is a table with details of interest payment and periodic principal of a loan along with the amount outstanding after each payment and the decrease of loan balance till zero. Rate of Interest differs according to the profile of the customer i.e. company name, salary. Processing Fees is the charges which bank incur while processing of Loan. These fees range from 1% to 4% of the loan amount. What are the different types of home loan? Land purchase loans: These loans are granted to individuals for the purchase of land on which they intend to build a house. Home purchase loans: These are the most common type of home loans that is granted to individuals and they are granted for the purchase of an apartment. Home construction loan: This type of loan is granted to individuals for the construction of a house on a plot of land that is already owned by the applicant. Home Expansion/Extension Loan: This loan is specifically granted to individuals who want to expand their current home to include a new construction such as an additional floor, room, bathroom, etc. Home Improvement Loan: Existing home owners who lack sufficient funds to renovate their existing home can apply for this loan to upgrade their home with a new paint job, electrical wiring, water proofing, etc. Home conversion loans: Using this type of home loan, an existing home owner can add to their existing loan so that they can purchase a new house. This type of loan is only applicable to existing home owners. NRI Home Loans: These home loans are specifically designed to provide non-resident Indians with financing so that they can purchase a home in India. If I have a current home loan and want to move to a new house, what option do I have? Your best option is to apply for a home conversion loan. Using this type of loan, you can add to your existing home loan and purchase the new one without having to opt for a second home loan. What is Home loan preapproval? Home loan pre-approval is a facility provided by banks and NBFCs to their customers, which allow those interested in purchasing a house with the particulars regarding their eligibility even before they have decided on a property to purchase. How long is the home loan pre-approval valid? The pre-approved home loan offer is valid for only a limited period, which varies from one bank to another as per the lender's internal rules and regulations. However, these pre-approvals are usually valid for no more than 6 months. How do home loan requirements vary for an apartment and a plot of land? When you take a home loan for an apartment, you technically apply for a home purchase loan. This type of loan is the most common one that is provided to individuals and is eligible for tax benefits under section 24 and section 80C. In case you want to purchase a plot of land for building your house at a later date, you have to apply for a land purchase loan and there is currently no tax exemption benefit for this type of loan. What are the top home loan providers in India? Due to the huge demand of home loans, banks and NBFCs across India provide home loans to their customers. Some of the leading banks who provide home loans to individuals include HDFC Bank, Axis Bank, ICICI Bank, State Bank of India and associates, Bank of Baroda, RBL Bank and many others. Leading NBFCs in India that provide home loans in India include India Bulls, Bajaj Finance, Financiers, LIC Housing Finance and may others. We have created a variety of tools to help you budget appropriately in light of the variety of site options given land type and project requirements.